Forecast 11/2 Get out important correspondence or connections before 8:47 AM ET. After this time, the moon is void-of-course* in the sign of Libra until 1:35 PM. Reflection is emphasized at the dark of Moon. Once the moon enters the sign of Scorpio at 1:35 pm, consider what needs closure before tomorrow’s New Moon. This is an incredibly regenerative time, beautifully positioned after yesterday’s powerful energy burst. Use this time to seed courage and the vision in your heart. Each individual has more power then s/he thinks to fashion the future. It starts with the present moment. Feel empowered. Taste the promise. Make time to meditate and contemplate. Carve out your goals. The Scorpio Moon increases the ability to recycle old feelings, not simply rehash them. Old memories surface if you still need to forgive yourself. Confront a mirror for a clear-eyed evaluation. At the dark of moon, call on the wise, loving energy of Hecate, one of the oldest goddesses. Picture a grandmother who “has your back”. Know that you always have the time you need to do what must happen in this lifetime, if you allow it. 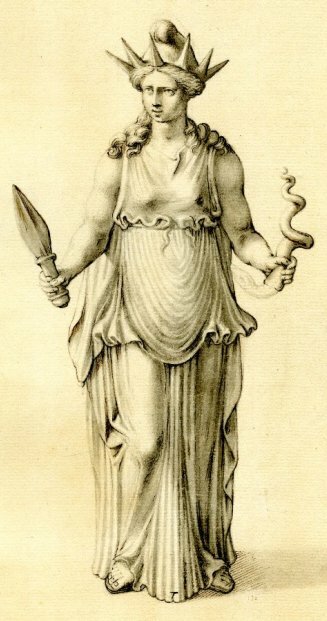 Hecate is one of the goddesses who has been made a bit scary and cartoon-like due to the fear of what she can inspire. You can claim her power back to you energetically by developing a comfort with decomposition, regeneration and the mysteries of the birth process. Hecate works her loom this time of year in the NE when the leaves are shattered by the rains and the earth marries their decay. The goddess Hecate is beyond linear time; she is the spiritual midwife for birth and death and everything in between and beyond. She is not confined to the saturnine boundaries of hours, minutes and days. She confronts the infinite; always was, always will be. Allow yourself to enter into this sense of knowing. Sense the limitless potential while on the on the threshold of this Scorpio New Moon. 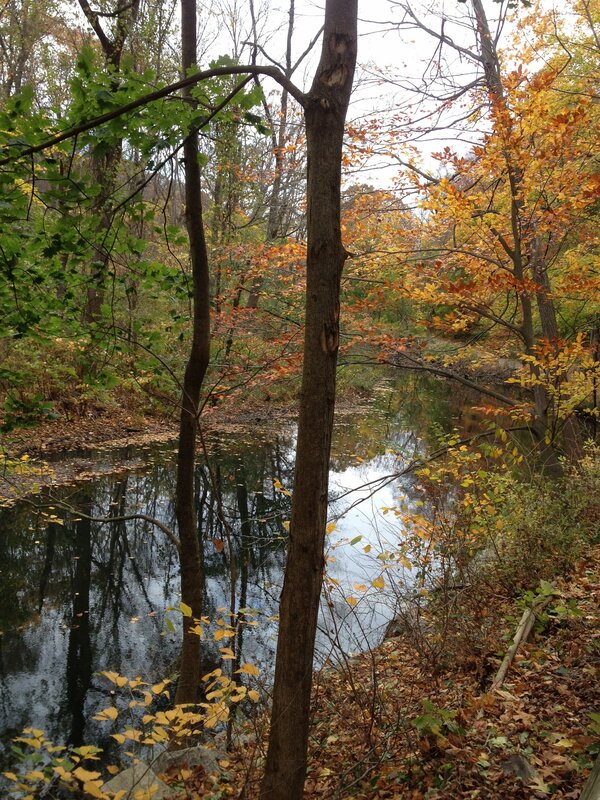 The essence is to view and witness areas to release and recycle. Energy cannot be too created nor destroyed. Instead of the concept of letting go think in terms of regenerating and recycling. Whatever your feelings were for your ex-husband, it’s time to recycle them. Whatever your feelings were for your abuser, the predator, the person who broke your heart- it’s time to recycle them. Whatever your feelings are for a business failure or bankruptcy, it’s time to recycle it. Look at these shards of your life as compost. Put them into the heart of your regenerative ability. Give thanks for the wealth of information that is yours from any perceived failures or wrongs. Think of the wellspring they can create. You can restructure and regenerate new fruit and wisdom. Let this offer guidance for yourself and for your loved ones. At this dark of Moon, forgive yourself for any perceived shortcomings, grievances, mistakes, failures or anything you have not done or you will not do. When you forgive yourself you create the warmth for composting. Recycling leads to the new beginnings. You create opportunity through transmuting grief, regrets and sadness. It is valuable to know your personal history for the same reasons that world history has value. Ignorance or denial of the past perpetuates and continues patterns of destruction. We are called to awaken our individuality, sense of freedom and genius. Own your personal responsibility and commitment, especially if you have lived under an authority figure or a sense of corporate duties. The long passage of Pluto in Capricorn highlights responsibility to the earth, personal destiny and integrity. It calls on our very sense of survival. How will we create structures? How will we face the fears that actually create our inability to survive and transform? How do we create structure that allows us the ability to shape shift when necessary? Observe your own personal ritual, whether it’s your breakfast, a meditation, journaling, the route you take to work or a morning walk. What offers you continuity and an anchor? The chaos of the greater world temporarily subsides when you create a ritual that gives order. A ritual, no matter how simple, helps you recognize your ability to create a very different world. What is your ritual for the day? Enjoy the ritual of my New Moon Gathering! Wainwright House, Saturday night Nov 2- Join us! *Moon VOC/Void-of-Course… in Libra, enjoy a museum, music, dance. It may be lovely to be with someone you love as long as you don’t initiate any major discussions.